Wolff tanning beds and components set the industry standard for excellence. Wolff brand tanning units are produced exclusively by licensed manufacturers who adhere to Wolff's tight quality control standards. At WolfTanningBed.com, we have a large line of comfortable, high-quality commercial tanning beds that would suit any salon and every client. If, however, you love the convenience of waking up and achieving that same, warm glow, then our line of home tanning beds for sale are the most popular, reliable and best in the world. Owning a commercial or residential tanning bed doesn't come without maintenance so our extensive line of tanng bulbs, supplies, parts and lotions are available to you at guaranteed best prices. Wolff offers a complete lineup of commercial tanning beds, including premium tanning beds, that provide the best return on investment to salon owners available in the market today. The SunFire 42X tanning booth is specially designed to provide your clients with a no-contact, even tan in just 10 minutes! If your clients prefer beds over booths, check out the SunFire line of commercial tanning beds, including seven SunFire commercial models all offering superior construction and durability and a variety of features such as advanced cooling systems and built-in, easy-to-read digital timers. The Wolff home tanning bed line is created for user-friendly operation but with commercial durability. Our top selling beds include SunFire Wolff 16R, the SunFire 24R, SunFire 31R, SunFire 12R Canopy, and the Sunquest 12RLT Beauty tanning canopy. The SunFire lines offer a full range of affordable, easy-to-use residential tanning beds that deliver unparalleled tanning power in the comfort and privacy of your own home. Our demo and refurbished tanning beds are like brand new, ready to share the same experience in comfort and glow. Our list changes often but includes many of the top name brands known for quality and reliability. Current available models ready for your satisfaction range from Starpower, Sunvision, Sunstar, as well as the stand up model Sundome. Whether they are used, demonstration or re-certified tanning beds these beds are made to last and give that gorgeous golden tan we all look forward to having. The AG laser Spray Tans System is a light weight, efficient and easy to use component. It's patented laser spray guide helps eliminate over spray giving a flawless application, but also allows for pin point accuracy for some finer details. The AG laser system is known for for being one of the most silent on the market and also uses a 70% organic hydrating solution that positively benefits both client and application specialist. This drip free technology is UL/CSA approved as a Cosmetic Appliance as well as a Commercial Electric Personal Grooming Appliance. The best on the market! Wolff brand bulbs are built for long-lasting, high quality use. The Wolff specialty mix of UVA and UVB phosphors are world renowned in the tanning industry as the number one bulb for home and commercial use. No salon should be without a choice of supplies. We have a variety of select products with the client and spa owner in mind. Whether it's adding to existing product and stock or preparing to open for the first time, our list is made to satisfy. Our prices are guaranteed to be the lowest anywhere. Wolff Tanning Beds are designed for both home and commercial use. 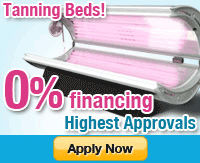 Buy a tanning bed for as low as $999, with instant cash rebates on all of our Tanning Beds. Remember, all Wolff tanning beds are backed by our warranty and reputation for excellence; we stand behind our product! 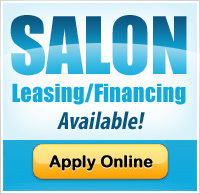 It's easier than ever before to own or upgrade with convenient financing and lease options. So call or e-mail us today! We're ready and waiting to help you pick the perfect Wolff tanning bed to best meet your tanning needs.